Does The 'One Free Bite' Law Still Exist In California In 2018? Our experienced dog bite attorney in San Diego explains that the "one bite" law was not intended to shield dog owners from liability when their dog attacked someone for the first time. Home > In The News > Does The ‘One Free Bite’ Law Still Exist In California In 2018? Does The ‘One Free Bite’ Law Still Exist In California In 2018? If a dog bites someone for the first time, does the owner of that dog escape liability because he or she had no reason to believe that the dog would bite a person? It is true that not long ago, California imposed the “one bite” law concerning dog bites. In short, the one free bite law means that if the dog owner had no reason to believe that his/her dog would bite (there was no prior incident), that owner would be immune from liability in the event of a dog bite. From that first bite forward, for which the dog owner would not be held liable, the owner assumed the responsibility to ensure other people’s safety. And if the dog bites someone again, the dog owner would be held responsible for the damages caused by that bite. It might seem fair that the dog owner can escape liability by having the benefit of the doubt, but the “one free bite” law no longer exists in California. As of 2018, some states still have the “one bite” law or other similar variations of it, but California is not one of those states. What the ‘one bite’ law was all about? Our experienced dog bite attorney in San Diego explains that the “one bite” law was not intended to shield dog owners from liability when their dog attacked someone for the first time. Rather, it allowed for certain situations where the owner was not held liable for the first incident. Currently, California is a strict liability state. Meaning: the “one free bite” law no longer applies to dog bite incidents. 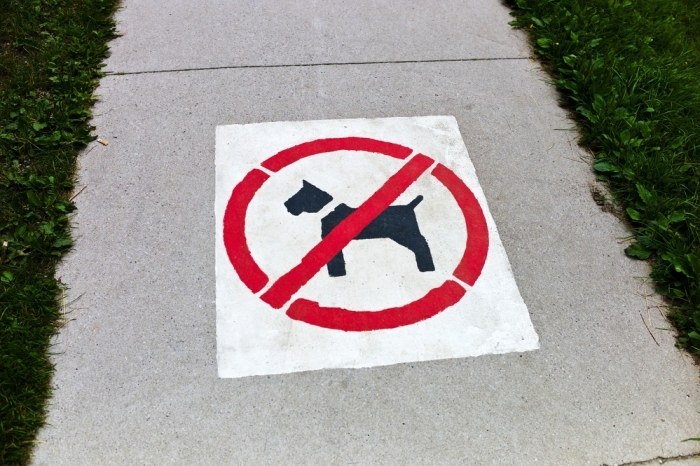 Today, a dog owner will be held liable for a dog bite when their dog attacks someone either in public or on a private property as long as the victim is not trespassing and the victim did not provoke the dog. Our society adores dogs so much that we often forget that dogs are animals whose basic nature is to protect their owner and territory and serve. Dogs can easily become provoked, frightened or feel the need to protect their owner or territory. Therefore, under California’s strict liability statute, dog owners are legally required to train their dogs, restrain and control them, and ensure everyone else’s safety when the dog is or is reasonably expected to be near another person. Even if the dog has never attacked anyone or shown any signs of aggression, the dog owner will be held liable for any injuries and damages resulting from a dog bite.